The Delmarva Power/Bluewater wind deal, and the first offshore wind project in the U.S., is just about reality. Monday the Power Purchase Agreement was signed and announced. At that time there were some legislative tweaks, one including approval of Delmarva Power taking 3.5 Renewable Energy Credits for each “real” one, which didn’t go over real well. Today, it all was happening at the legislature, where it passed both the House and Senate. In the Senate, Delmarva Power toady said, on the record, that they really didn’t intend to take 3.5 credits for each one, nope, no, really, that wasn’t what they meant… uh-huh, sure, right, anything you say… so anyway, we don’t know what the actual bill is at this point, and I’ll post if I get my mitts on it. Because of the speed with which it was filed and considered, it was voted upon before the specifics and wording of the bill were made available to the public. Clarification was made on the floor of the Senate to explain the state will not decrease the amount of units in the renewable energy portfolio by approving the terms of the agreement. Several members of the Senate spoke in favor of the legislation and recognized DeLuca for working to get the agreement between the two companies worked out. “There were times I never thought we would get to this day,” Sen. Karen Peterson, D-Stanton, said. While some spoke in favor of the legislation, they reminded fellow members that this measure should only be considered a first step in pursuing the use of renewable energy. 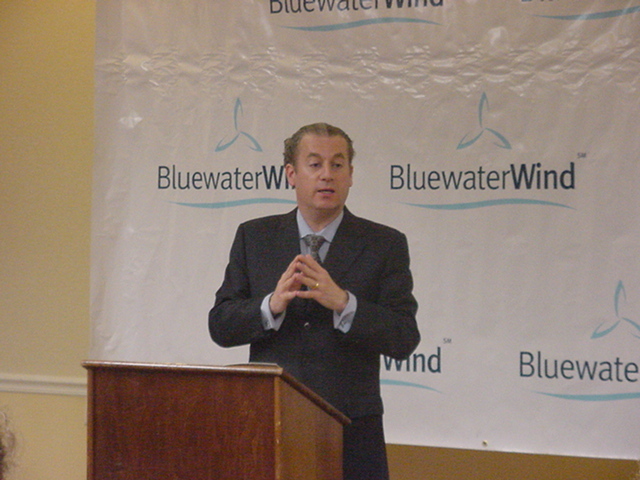 Delaware – first offshore wind in U.S.? Yesterday, Bluewater Wind and Delmarva Power announced they’d reached a deal, just signed that morning. Delaware is one step closer to having the first offshore wind project in the U.S. Can it be? Perhaps! How did we get here? Long story… There was a “level playing field” RFP for power that would provide a stable price to the Delaware SOS Standard Offer Service (or SOL) customers suffering from the pain of deregulation. There were three proposals, one from NRG – coal gasification/IGCC, another from Bluewater Wind for offshore wind, and another from Conectiv for natural gas. When looking at the three proposals, the PSC wisely said, “We’ll have one from column A and one from column B” and ordered a wind/gas combo for dispatchable power. Like, wow… maybe they’ll get there. It still has to go to the PSC, and DNREC, the Office of Management and Budget and the Controller General have to sign off too (why on earth did the legislature do that, anyway? It’s as convoluted as some of the Minnesota energy legislation). But wait… it’s not over. 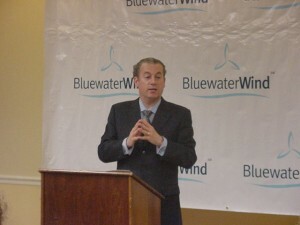 Bluewater said there are a couple of details they need to get through the legislature, like a legislative directive to PSC that they will do this (and a public directive to the state agencies who also must sign off per the legislation that started this whole mess), and an odd material term that the Renewable Energy Credits to Delmarva Power will be 350% of what they’d usually get. I need to spend some time with the PPA and figure that out because I’m not excited if Delmarva Power would get a free ride for a lot of its RPS requirement. Hmmmmmmmmm… Delmarva is already trying to get out of doing any DSM and doing a damn good job of it, and so now what will this mean for their renewable generation requirements? More on that later if there’s issues to note. So we’ve got a little twist, a little bit of a mixed bag, it’s not the perfect deal in my view, but I’m not the aribiter in this! From this vantage point, it probably is a perfect deal in terms of a “good deal” in family law, there’s probably issues on both sides enough to make one itch and cringe. The wind part of the wind/gas combo is moving forward, the first in the U.S. offshore wind project just might be offshore of Delaware. … showing up at a public meeting this week. Yup, it was about a new proposed nuclear plant in Idaho. He was told to leave and not to hand out pamphlets. Jeez, I guess former Mayor Terry Lundgren is giving lessons. 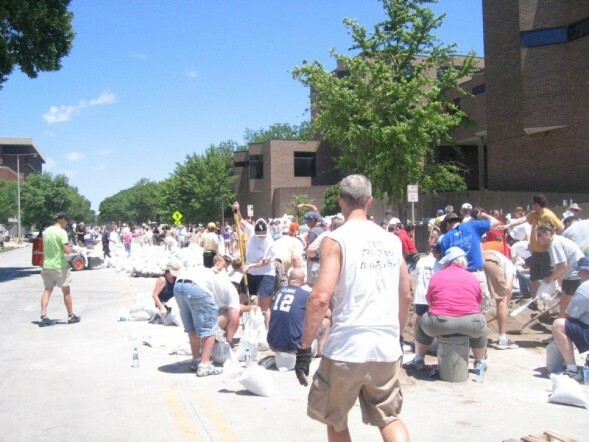 I heard a report that something like 1/3 of Iowa is underwater. Can it be? It’s all connected. As a truckdriver, I knew how vulnerable this country is, how dependent on the I-80 link between the costs, without it, the whole country would starve. The goal of the program is too ease financing of a risky capital intensive technology. Federal Department of Energy (or appropriate agency) takes title to and liability for long-term storage of CO2 from selected projects. DOESN’T ANYONE ON THIS COMMITTEE HAVE THE BRAINS OF A GNAT SUFFICIENT TO THINK ABOUT “TAKES TITLE TO AND LIABILITY FOR LONG-TERM STORAGE” AND THINK OF NUCLEAR WASTE? For a while now, I’ve been saying that IGCC is the new nuclear, it’s a technology they want to build without experience, without all the questions answered, without the promoters and developers taking responsibility for what it is they’re promoting and building, and now, this hare-brained scheme? HOW STUPID CAN THEY BE? Short version? They don’t know what to do with nuclear waste and don’t know how to store it long term. In a CO2 context, it’s no different, they don’t know what to do with it and don’t know how to store it long term. Taking title and liability for long term storage does nothing for their inability to do it! We’re still left holding the bag. Recourse? Essentially none. Can’t make them store nuclear waste which they don’t know how to do and can’t do. Can’t make them store CO2 which they don’t know how to do and can’t do. And this does exactly what for global warming and greenhouse gas emissions? EIX calls for the creation of an incentive program to encourage existing and new players to invest in carbon capture and sequestration (CCS) technology. Improve on bonus allowance allocations, by eliminating allowance price risk. Build on the success of the wind Production Tax Credit (PTC). Federal guarantee of revenue either as cash payments or a PTC. Auction revenues fund payment for CO2 captured and geologically sequestered. Regional marginal emission rate at a level that makes the CCS unit competitive, from a marginal cost standpoint, with a combined cycle natural gas generator. Reverse auction where 10 year Federal fixed price contracts are awarded to the lowest offered cost of sequestration. Project put in service before 2035. 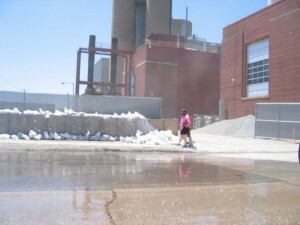 Sequestration facility certified by EPA/DOE. EPA/DOE to establish certification criteria for geological sequestration facilities.